Author’s Note: Writing about music, and describing the quality of sound, is not an easy task. In this piece, I attempt to honor the late Gato Barbieri by examining three of his songs. For the benefit of the reader, I have included audio clips, and time markers in the article, for better understanding and to create an interactive experience. Defining jazz is a difficult endeavor, much like describing the color of starlight, or the meaning of music. Jazz is syncopated improvisation, where band members communicate with sound. Jazz is spontaneous creativity- a moment of innovation lost to time. During his career, the late Gato Barbieri provided his own definition- Jazz is unadulterated emotion, expressed in real-time, conveyed across cultural boundaries. Originally influenced by John Coltrane and Ornette Coleman, Barbieri’s music embraced several jazz genres. As a young tenor man in the 1960s, Barbieri joined the free-jazz revolution  where he played beyond traditional jazz compositions in favor of pure improvised expression. Barbieri would continue to record and perform into his 80s. (Alejandro Querol). Barbieri would continue to record prolifically through to 1970s and 80s, further expanding his compositional range. In 1972, Barbieri won a Grammy for writing and performing ‘Last Tango in Paris’, a film starring Marlon Brando. Barbieri would produce several more subdued albums- of the smooth jazz variety- and continued to record up to 2010. However, Barbieri’s most timeless achievement is his ‘Chapter’ series. Titled One through Four and recorded between 1973 and 1975, the albums featured an array of instruments, rhythms, and musicians from Barbieri’s native South America and the world. Three songs from those albums capture Barbieri at the height of his power- an amalgam of emotion and vulnerability based in world culture- and offers his declaration to the enduring enigma: the definition of jazz. The introduction of ‘La Muchachada La Flor De La Juventud’,  the third track on ‘Chapter One’, displays Barbieri’s unbridled musical emotion. Barbieri opens the song with an improvised chant, a bellowing of inarticulable sound, followed by a spoken introduction. After Barbieri announces the song title, he releases a primal yell that rejects conformity and embraces spontaneity. Barbieri’s verbal catharsis continues through the body of his horn. Using his piercing tone, Barbieri unleashes a solo that cuts through the listener’s stereo. The cry from his horn, and the rumble of the rhythm section, create a sense of impending violence- his howl at the 1:29 mark could be a General’s roar before leading his men to battle. ‘La Muchachada La Flor De La Juventud’: Chapter One. In addition to Barbieri’s tonal ferocity, the ‘Chapter’ series displays his vulnerability too. The first track of ‘Chapter Three’ is a pensive, and at times forlorn, ballad titled ‘Milonga Triste.’ The song not only demonstrates Barbieri’s range of emotion, but also tells a story of loss. The track opens with several bars from a contemplative acoustic guitar, with Barbieri patiently waiting in the background to tell his tale. He then states the melody with a subdued tone, revealing a sense of longing, only to retreat at 1:25 with a defensive growl. However, Barbieri falls back into dispirit from 1:37-1:42, seemingly ceding to regret with a softened tone. Barbieri’s solo in ‘Milonga Triste’ is an emotional rollercoaster of resignation and intransigence. The glissando at 3:30-3:31 sounds like a sunken heart. However, Barbieri roars back at 3:40 with a defiant wail from bottom of his horn, but the discerning listener notes the underlying emotion in the solo- vulnerability. The third track, titled ‘To Be Continued’ from ‘Chapter One’, demonstrates the foundation for Barbieri’s musicianship- his South American roots. Indeed, the ‘Chapter’ series is driven by two forces: Barbieri’s mastery and the diverse musicians featured in the albums. ‘To Be Continued’ emphasizes Barbieri’s fearless use of multicultural instrumentation. In the track, Barbieri introduces several of the album’s instruments. Each musician sounds off and falls in with the band, creating a rhythm one might find in a Buenos Aires club. As he recognizes each musician, it becomes clear that multicultural sound is formative for Barbieri, an essential element to his musical flight. ‘To Be Continued’: Chapter One. In all, Barbieri’s work adds to the perpetual list of jazz definitions. Indeed, that list will never end- for there is no true definition of jazz. Nonetheless, the ‘Chapter’ series informs us that jazz is a global music, founded on the human condition, and driven by spontaneous bursts of unadulterated emotion. 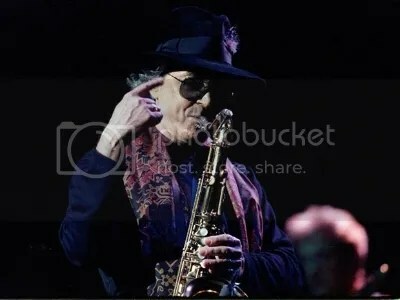 And no one played with more impetuous passion than the tenor man from Rosario, Argentina: Gato Barbieri. Keepnews, P., Mele, C. (2016). Gato Barbieri, Latin Jazz Trailblazer with a Saxophone, is Dead at 83. The New York Times. Retrieved from https://www.nytimes.com/2016/04/03/arts/music/gato-barbieri-latin-jazz-trailblazer-dies-at-83.html?_r=0. Associated Press. (2016). 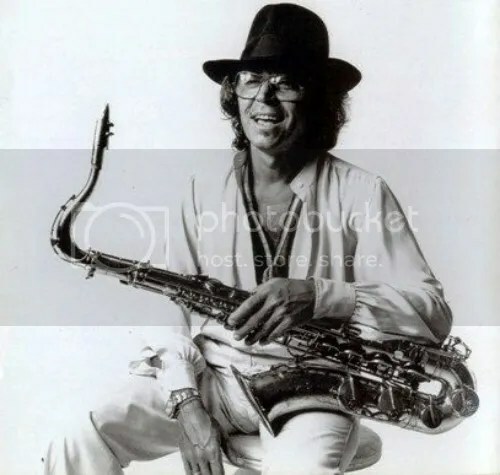 Gato Barbieri, Latin Jazz Saxophonist, Dies at Age 83. Billboard. Retrieved from http://www.billboard.com/articles/columns/latin/7318824/gato-barbieri-dead. I’m proud that I introduced you to Gato. Being Latino, his sound touches my soul, the ferocity and tones you hear are unmistakably Gato, no one else sounds like him and while he may not be everyone’s cup of tea, I rank him with the best horn players ever!! the last piece you presented from his Chapter series is pure “Latino America” and if your feet don’t start jumping during that one, somethings wrong with you!! !